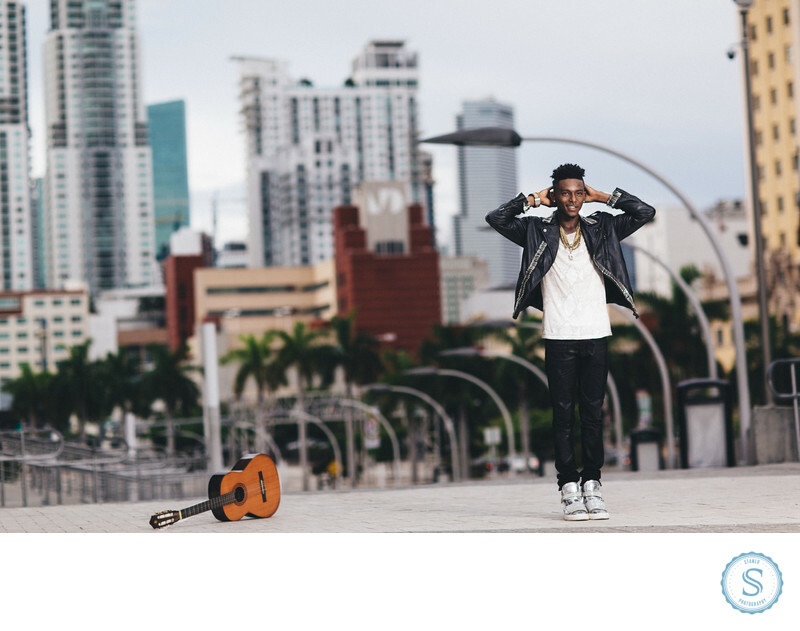 Jordan Grizzle Miami Heat photo session for this talented musician. I love capturing the amazing city of Miami and being a professional photographer in south Florida. Tell me your ideas about your session and I will work with you to create them. Location: Miami Florida (Miami Heat Arena). Filename: fashion-photographer-miami-heat-arena.jpg. 1/1600; f/2.0; ISO 100; 85.0 mm.